Brunch is a celebration of sleeping in and fuel for an afternoon of adventure. 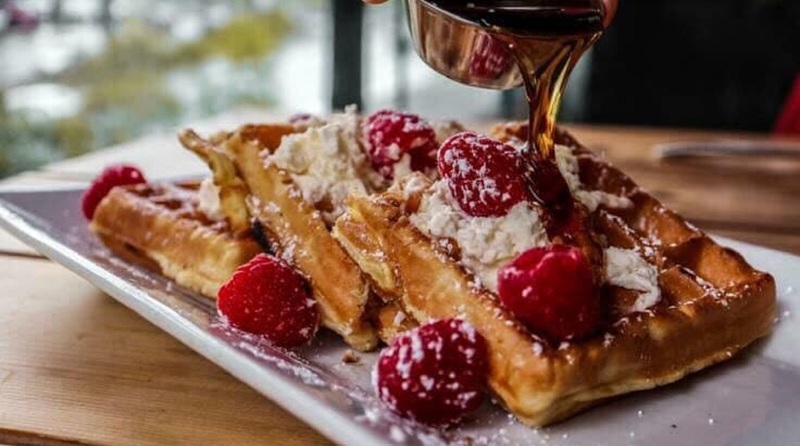 In a destination as beautiful as Squamish, it's easy to scramble your brunch plans and transform your morning meal into a soulful experience and reconnect with loved ones over a hearty stack of pancakes. 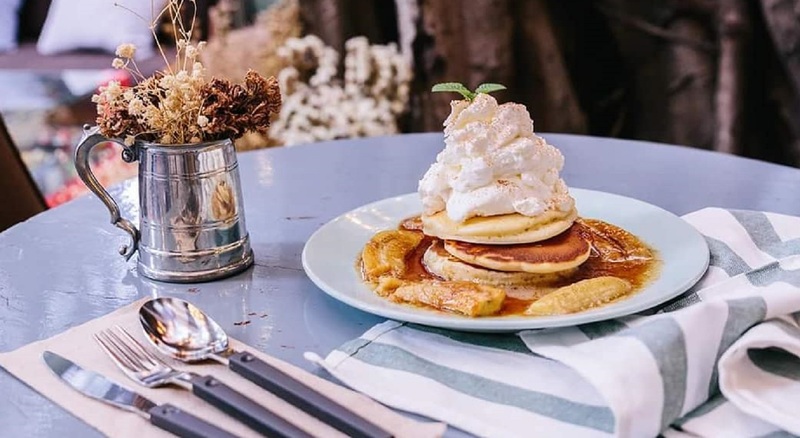 Indulge at one of our local eateries and don't be afraid to order a morning beverage to accompany your meal; the 5 pm rule doesn't apply in mountain towns! Tempt your tastebuds with an array of farm to table choices including wraps, omelettes, eggs benedict and breakfast skillets. The restaurant features a covered patio for outdoor dining and a cozy indoor space set amongst the beauty of Brackendale. Classic brunch fair with lush fairway views and service with a smile every time. Mexican breakfast is on the menu, as are all your favourite North American go to's. Try your luck on the putting green after your brunch or continue with your day. This Cajun-inspired venue has a reputation for serving up mouthwatering brunch specials every weekend. Available while supplies last Saturday and Sunday mornings. This twisted take on breakfast will leave your mouth watering for more. Spice up your day with a bacon cheeseburger eggs benedict or macaroni and cheese Belgian waffles. Whichever you pick be sure to pair it with a delicious glass of crisp Squamish-made apple cider. 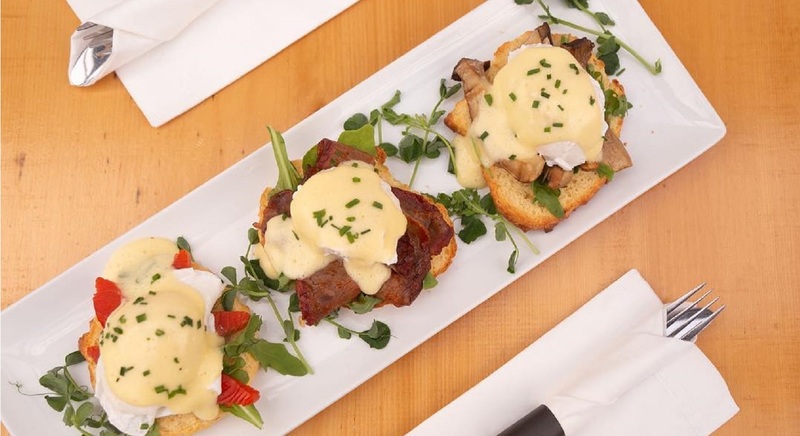 Unwind on the luxurious heated outdoor patio and enjoy items such as Belgian waffles and frittata priced at just $10. The delicious food pairs extraordinarily with Stawamus Chief views (seen from anywhere on the patio!) and with mimosas and ceasars which are also on special! 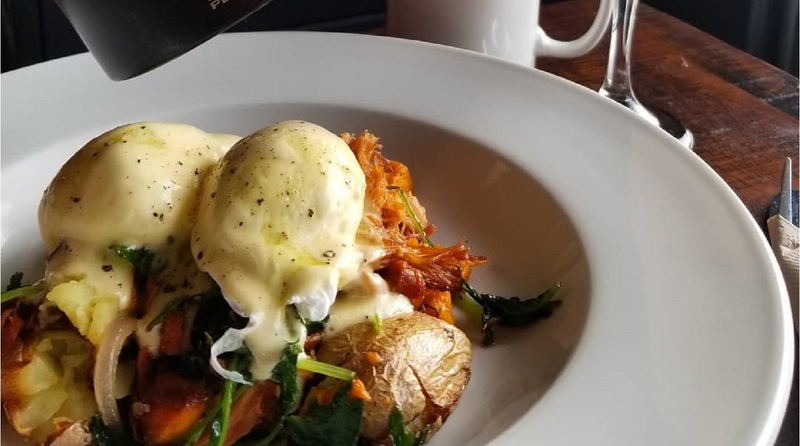 Parmesan potatoes, cider-braised bacon and plenty of savoury spices come together to make Norman Rudy's brunch a fusion of flavour. Pick from the list of classic and signature delights and sink into your chair, you will want to stay awhile. Stop by this farm to table cidery for a craft cider cocktail and weekend featured brunch item, available from 12 pm to 3 pm Saturdays and Sundays. Or skip breakfast and dive into their dessert menu because creme brulee tastes good at all hours of the day! A crowdpleaser with something to offer everyone in your party. 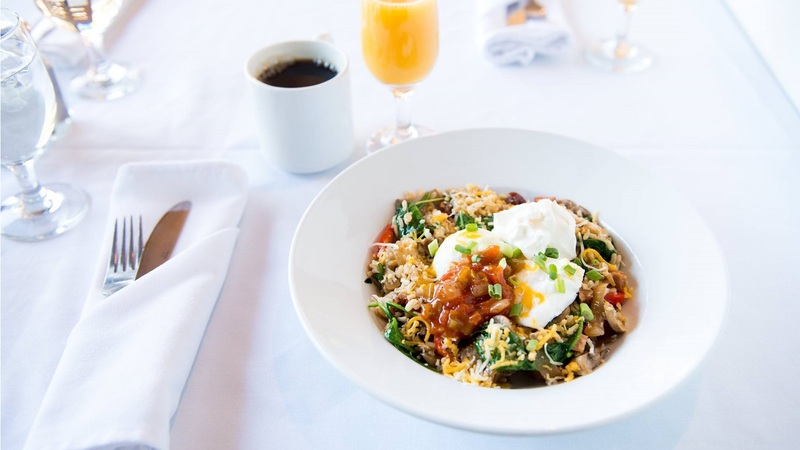 Choose from the combined brunch and lunch menu featuring popular plates such as steak and eggs, a veggie burrito or a daily soup sandwich combo. 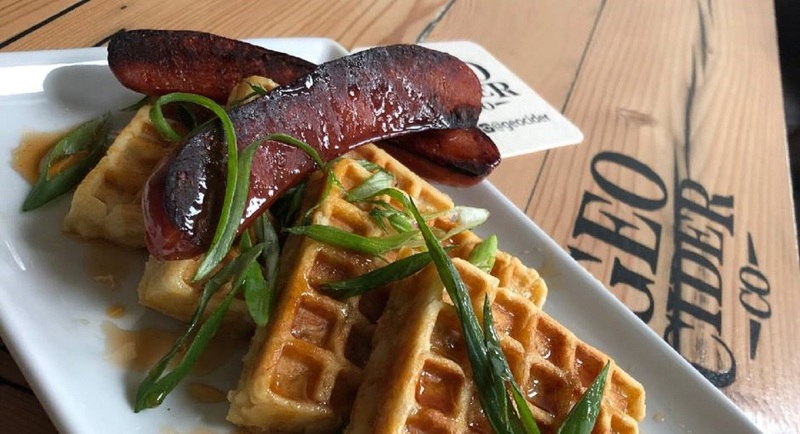 ​Macaroni and cheese Belgian waffles with seared chorizo | Photo: Geo Cider Co.
Squamish's Sunday brunch hotspot includes plenty of outdoor seating, a cheery, bright indoor space and favourite menu items including three varieties of eggs benedict, a weekly feature frittata and more. Did we mention they serve mimosa flights? 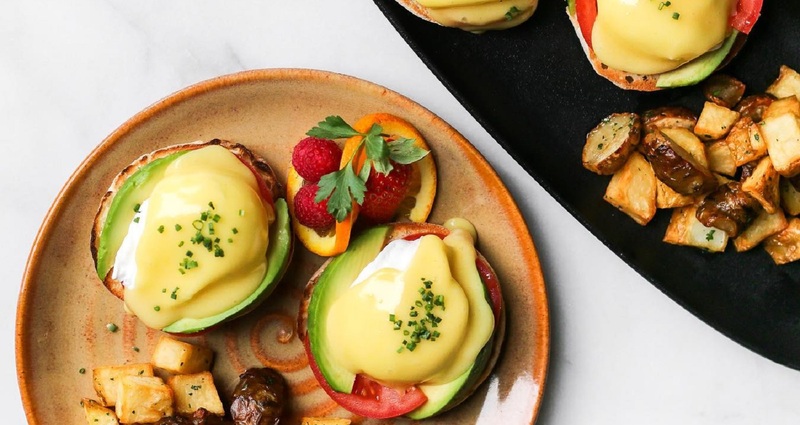 Sunday brunch is returning to the Salted Vine Kitchen + Bar on Sunday, April 21, 2019. 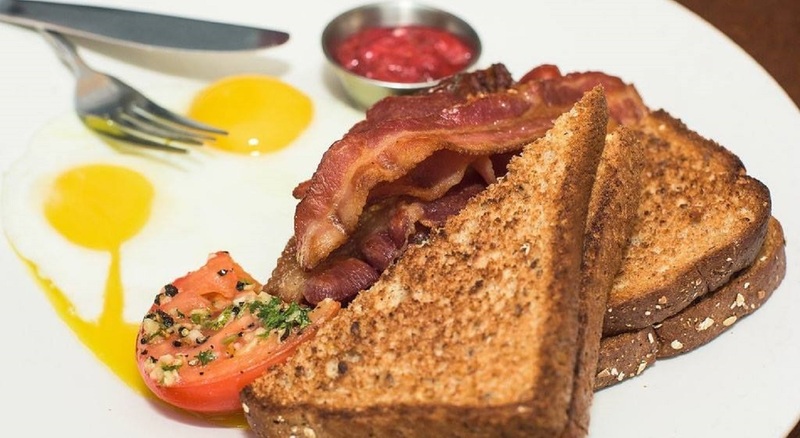 The upscale brunch service is equipped with it's very own dessert and cocktail menu as well as plenty of flavourful twists on classic brunch fair. Ease through your afternoon on a sightseeing trip along the Sea to Sky Highway. 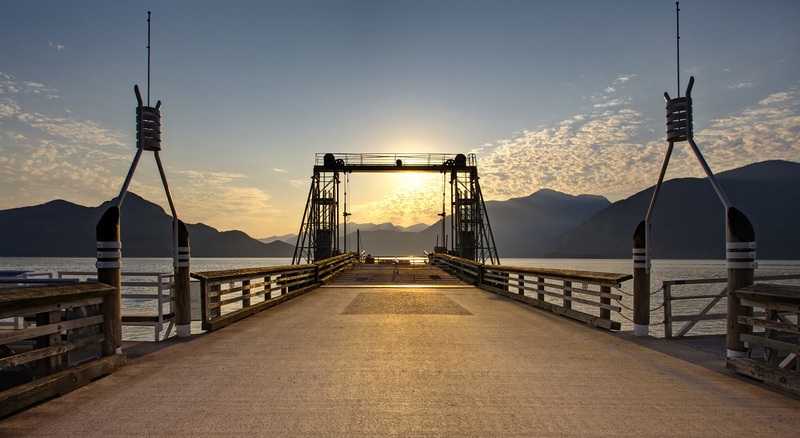 Start at Porteau Cove Provincial Park where you can stroll along the sandy beach beside Howe Sound. Keep your eyes peeled for wildlife, a pod of orca whales was last sighted here on March 17, 2019. Your next stop is the Britannia Mine Museum for a history lesson and sightseeing experience all in one. On your museum tour, ride the train underground and visit the iconic cliff-hugging mill for which Britannia is known. Other points of interest along your driving include Shannon Falls, the Stawamus Chief, the Sea to Sky Gondola and more. View the full list of viewpoints here. 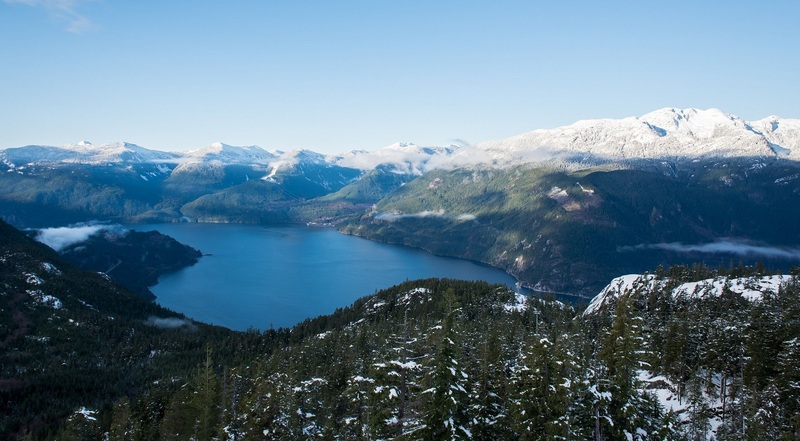 Rediscover Howe Sound by riding 885 metres above sea level on the Sea to Sky Gondola. The views at the top reveal the finger-like shape and teal blue waters of Howe Sound giving you a vantage to appreciate the fjord from high in the sky. 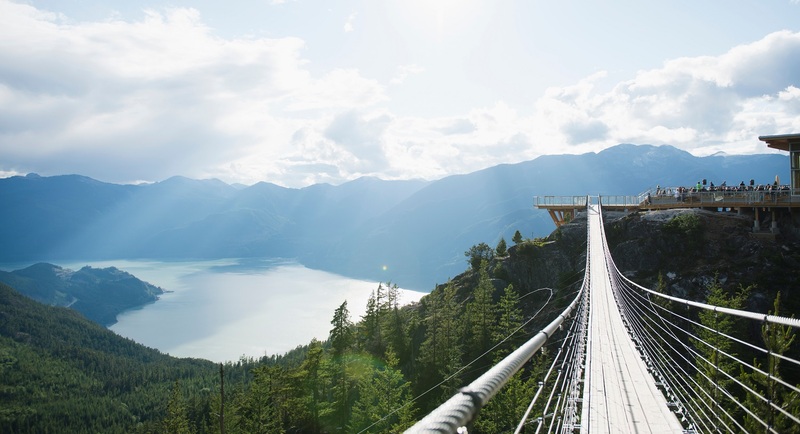 At the top tour the snow-covered trail network, test your fear of heights by crossing the Sky Pilot Suspension Bridge and enjoy a pour of Howe Sound Brewing beer while starring out at the Sound. In addition to fantastic brunch, Squamish has a reputation for brewing up award-winning craft beverages. 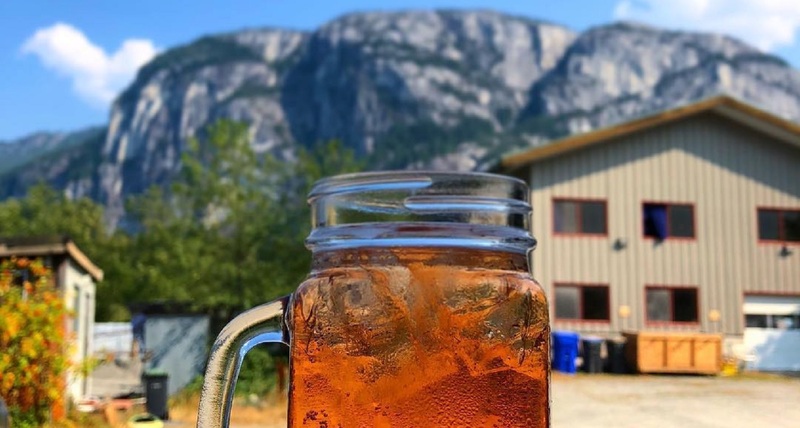 Start your tour of our Craft Beverage Tasting Trail downtown at Howe Sound Brewing before making your way to Cliffside Cider where you can toast to your day with a glass of fresh apple cider on their sunny patio. Be sure to pick up a Craft Tasting Trail Passport during your visit and get your passport stamped at each venue you visit. Next make your way across town to A-Frame Brewing, Gillespies Fine Spirits, Northyards Cider or Backcountry Brewing all located within walking distance of each other. Cap off your day at Geo Cider where you can unwind with a meal and a drink before concluding your day. Return your passport to the Squamish Adventure Centre to win a prize! Locals tip: Backcountry Brewing has board games to lend out during your visit and Northyards Cider has a shuffleboard table that is free to use. The beloved Fergie's Cafe is reopening in spring 2019. Stay tuned for egg-cellent eggs benedict and opening day updates! Porteau Cove Provincial Park is an oceanfront haven for scubadivers, kayakers, stand-up paddleboarders, beachcombers and those just looking for a place to relax by the shore. Britannia Mine Museum rocks! This 10-acre award-winning museum and National Historic Site is full of fun for the entire family. 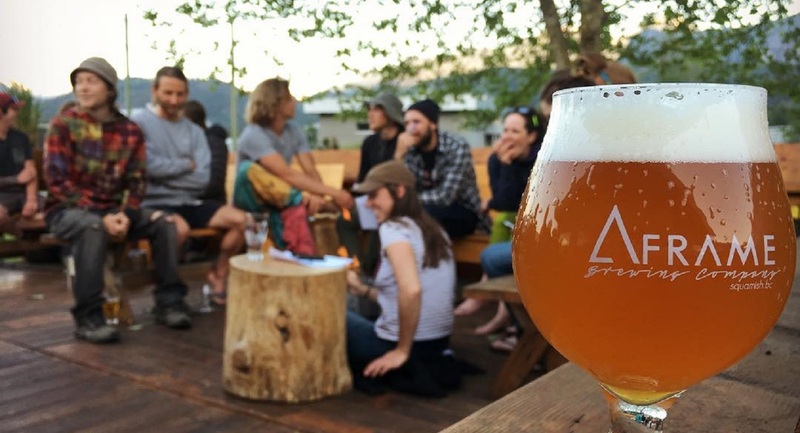 Take a walk on Squamish's Craft Tasting Trail and earn prizes for sampling made-in-Squamish beverages.